Most kids (especially little boys!) are fascinated with fire trucks, fire stations and firefighters. And my little boy is no exception to that! He LOVES all things to do with the fire station and firetrucks. And on the days he doesn’t want to be a pirate when he grows up, he wants to be a fire fighter. 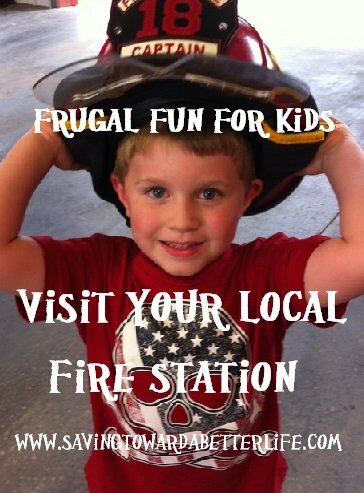 One of our favorite things to do is visit the fire station. We have some of the nicest firefighters in our county (but I have a feeling that all fire fighters would be equally as nice!) and they give Bug the star treatment when we stop in. The day he got to really spray the water hose he was on cloud nine the rest of the day! This is super fun for him but we also take the time to do a little something nice for the firefighters. We bake a batch of brownies or cookies before we go and give to the firefighters. They always seem to enjoy that! You may want to call ahead to your local fire department to see if/when they accept visitors. But we’ve been to several of our local stations and have never been turned away! 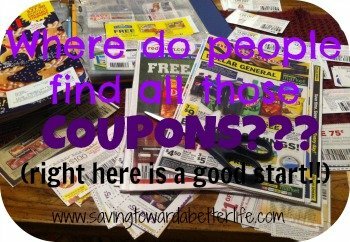 Check out my list of 30 fun, frugal summer activities! Copyright © 2010 - 2013 Saving Toward A Better Life. All rights reserved.